1. 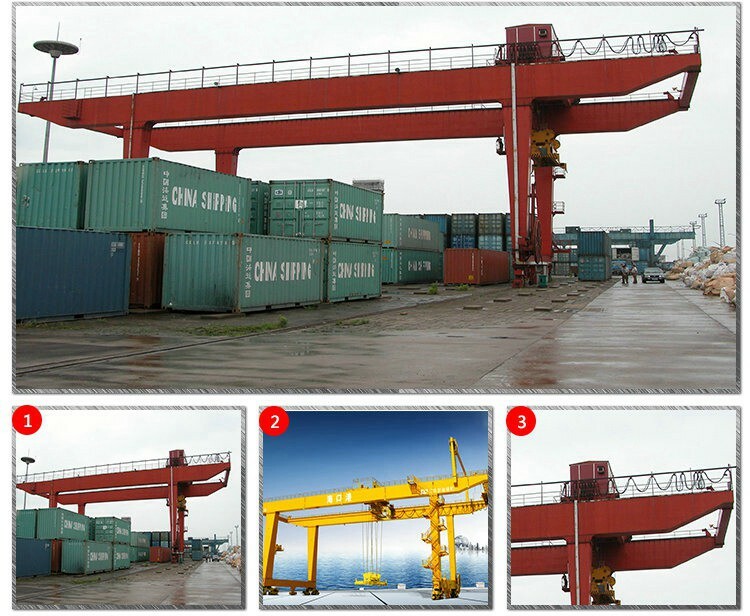 Double beam gantry Crane is widely used together with winch or trolley for lifting device. 2. It is a medium and heavy size crane which travels in track. 3. 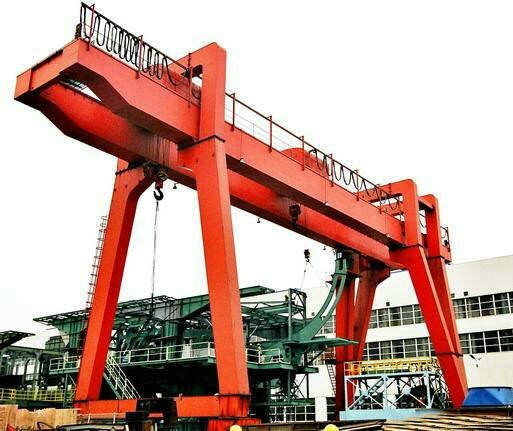 Its proper lifting weight is 5 to 160 tons,and proper span is 18 to 35 meters. 4. Its proper working temperature is -20--+40 centigrade. 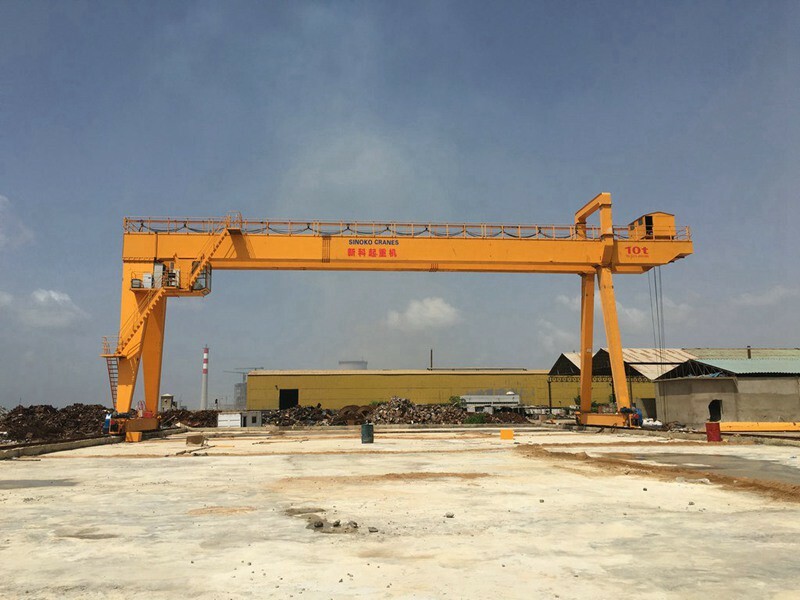 5 .This kind of crane is composed of main beam, support legs, crane traveling organ, trolley, electric equipment, strong lifting winch. 6. 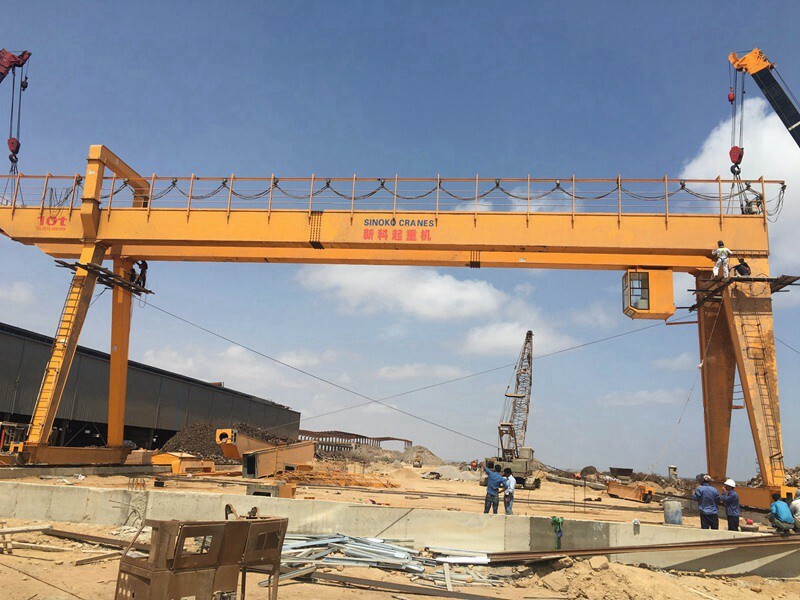 This product is a regular crane widely used in workshop, storage, port and hydroelectric power station and some other outdoor place, where it has a high frequency or more lifting times. 7. Power is supplied by cable or slide wire. 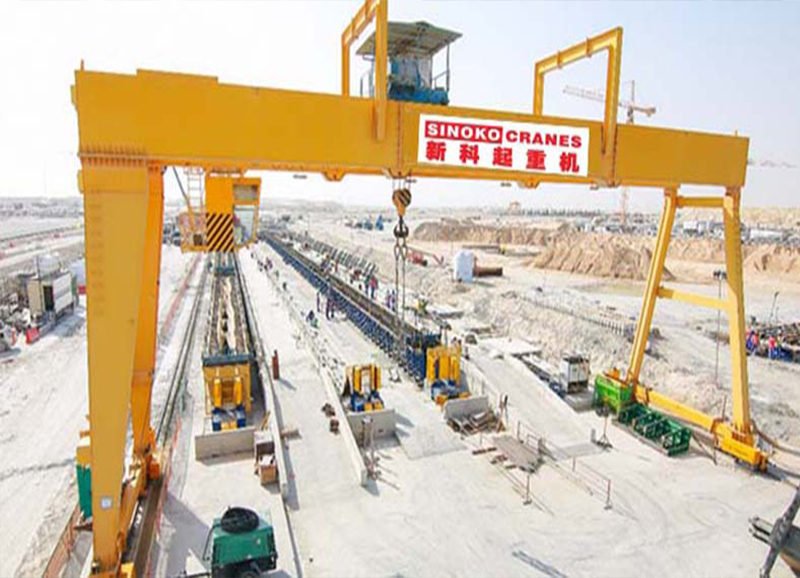 1.Henan Sinoko Cranes Co,.Ltd is a modern manufacturing enterprise, which has a tight technical cooperation with one of the world biggest professional crane manufacturing-Konecrane Group SWF company from the date it's been built. 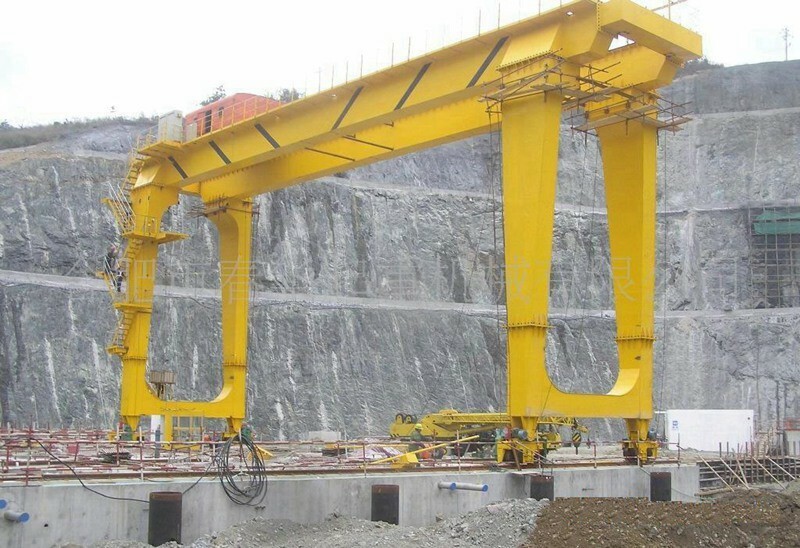 The company keeps focus on the cutting edge technology and developments of European style cranes. 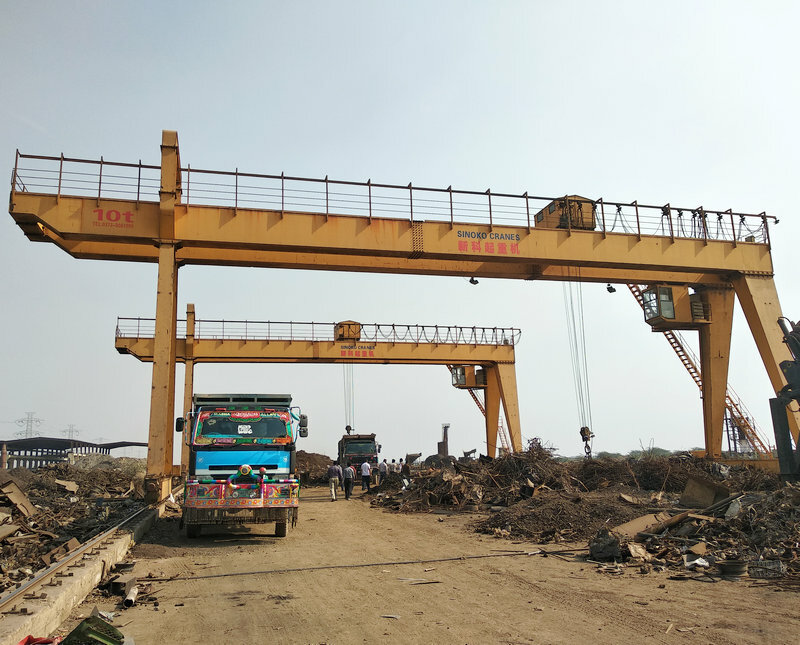 3.Based on Konecrane's technique, our products have advantages of slim size, light weight, excellent free maintenance performance, continuing working efficiency, advanced configuration, galvanized steel rope, disc brake for lifting safety, hardened reducer, PLC lifting limit switch etc. 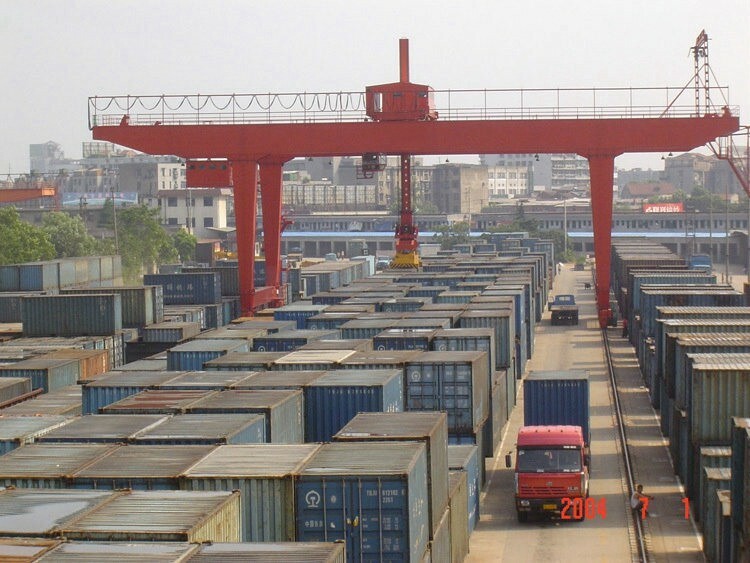 they are innovative products in China crane industry. 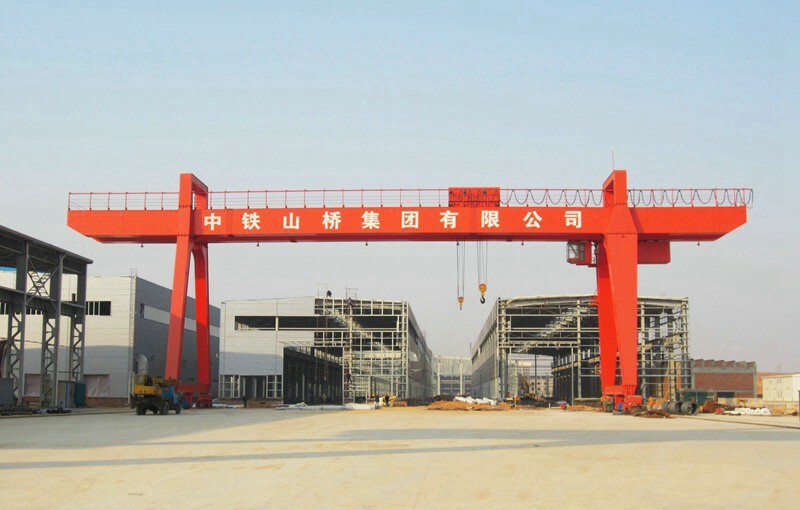 The products ranges are: China standard and European standard overhead crane, gantry crane and light scale crane equipments. 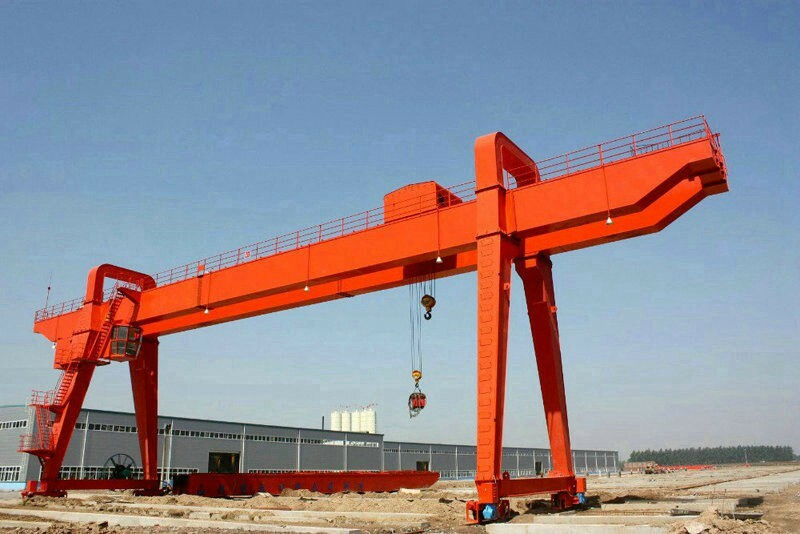 The core parts of European type crane use Konecrane group-SWF company. Structural parts are fabricated according to Konecrane's drawing and technological standard. The whole crane performance reach international advanced level. 4.Since its inception at the beginning, the company has always maintained on the concept of Continuous Creation, Constantly Surpass. Building the international level modern enterprise, use top level management, manufacturing top level products, and looking forward to win-win cooperation with you! Thanks for your patience, any interests, feel free to contact us. Looking forward to your reply. 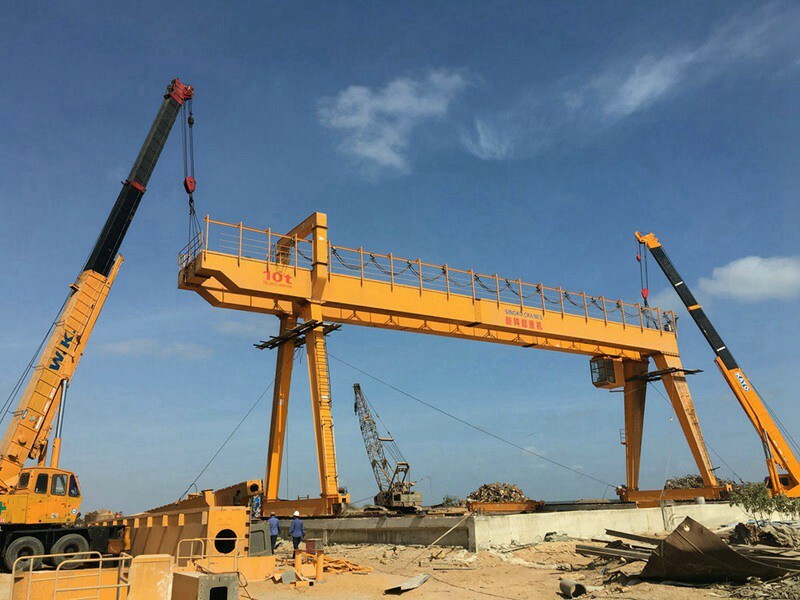 The crane quotation will be sent ASAP sincerely if needed.